Explanation: Is there a road to the stars? 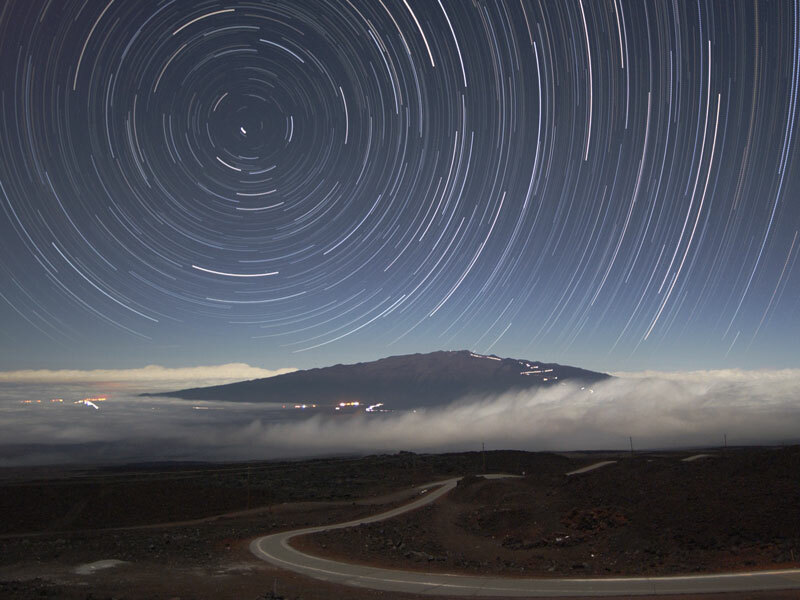 Possibly there are many, but the physical road pictured above leads up to the top of a dormant volcano that is a premier spot on planet Earth for observing stars and astronomical phenomena. At the top of Hawaii's Mauna Kea are some of the largest optical telescopes on Earth, including the Keck telescopes, Gemini, Subaru, CFHT, and the IRTF. Together, these 10-meter eyes have made many universe-redefining discoveries, including detailing that most of the universe is made not of familiar matter but of mysterious dark matter and dark energy. The above picture was compiled from over 150 one-minute exposures from a digital camera. 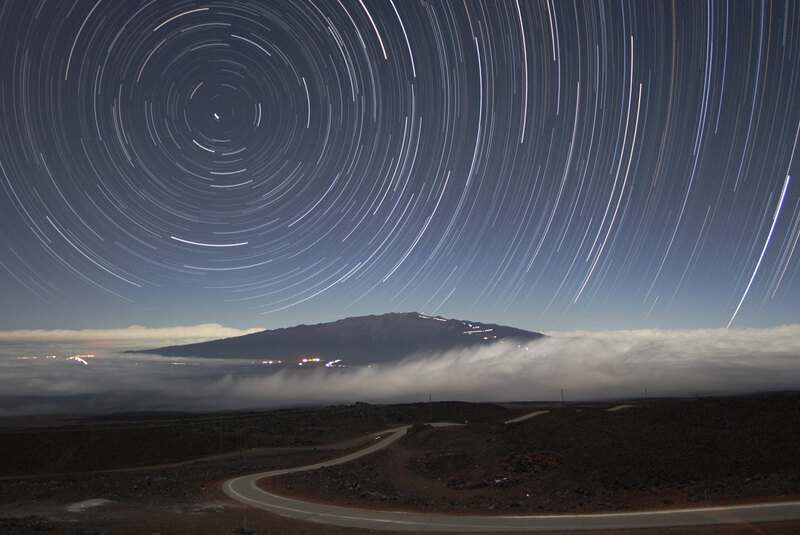 During that time, the rotation of the Earth made the stars far in the distance appear to have long star trails. The foreground landscape was illuminated by the Moon.